Copiers need love too. If you treat your copier right, it will treat you right. Don’t abuse it if it isn’t acting the way you expect. If your copier hasn’t been used in a few days, make sure to run some test copies on it to make sure that it’s printing correctly. 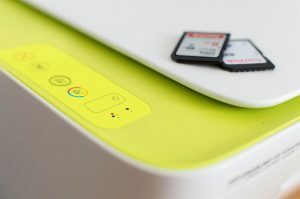 Most copiers will go into some sort of sleep mode when left idle for a certain period of time and when it boots back up, it may start to calibrate. Try to be patient during this time because the copier needs to go through this function in order to work properly. There have been many times when I’ve seen this happen and there is a line at the copier especially after the weekend and people think tapping on it, opening the doors and such will speed up this little process…it doesn’t. Patience is key here. Using good paper is so important for your copier. Just think about the bad stuff that we put into our bodies from food to alcohol, smoking etc.…well after a while, our bodies start to react to the bad things that we’re putting into our temple. We can get sick and all of a sudden our bodies break down. Well, it’s the same thing with your copier. Make sure to put good things in it so that it will continue to work properly. Using good paper is one of those good things. Don’t use wrinkled paper, and make sure that you don’t overfill the paper slot, that can cause your copier damage as well. If you don’t know about the functions of your copier or you haven’t been trained as to how to fix it should something happen. Leave it to the experts. There is a reason why you have the job that you have and a reason there is a service contract with a telephone number on it. When something happens to your copier, follow the screen prompts to see if that helps. If it doesn’t call that number that was given to you as it can be something a bit more serious that you’re not trained to handle. Sometimes simple paper jams can turn into something more serious and a technician is needed to get those tiny bits of paper out that you can’t see. Again, not all paper jams are simple to fix. Many times there is paper stuck in the cracks and crevices of this machine that only a technician can fix. You may not have the proper tools. If you see lines on your copies that may be an indication that the roller may be dirty. These are things that only a technician can handle. I can’t stress the importance of using the correct supplies when dealing with your copier. Make sure you have the correct information on the products that go with your machine, specifically toners Do you realize how much damage you can cause just by using the wrong toner? This may void your warranty and cost you thousands of dollars. Your machine should tell you what supplies are compatible with it. This is also very important. Keep your copier machine clean! Make sure that it is cleaned on a regular basis by wiping the exterior, the trays, and the entry areas so that dust and debris don’t build up. Most copiers come with a cleaning cloth. Make sure you use that to wipe these areas. Most times copiers can break down because it’s not suitable for the needs and demands of an office. A machine that continually breaks down; the reason is usually overuse. Assess your office’s needs and purchase a copier that fits that bill. If you have a need for high usage and it will be running all day. Get a machine that will allow for that. Otherwise, you may end up spending more money down the line. When your new machine gets to the office, train your staff immediately. Have the representative explain to your staff the functions of the new machine and have them show the staff all that the copier can do. Let them go through all the functions of the machine so they can physically see what the machine does and what it won’t do. Also, show them where they can find certain things in the manual that comes with it. Make sure your copier is out of the way from high traffic areas, and places that have drastic temperature changes. Don’t keep it next to heaters or air conditioners and definitely make sure it’s out of the way of direct sunlight. High traffic areas promote lots of dust and placing it next to heat and air isn’t good for the health of the copier. On that note; if you take care of your copier, your copier will function the way that it should and last a good while.